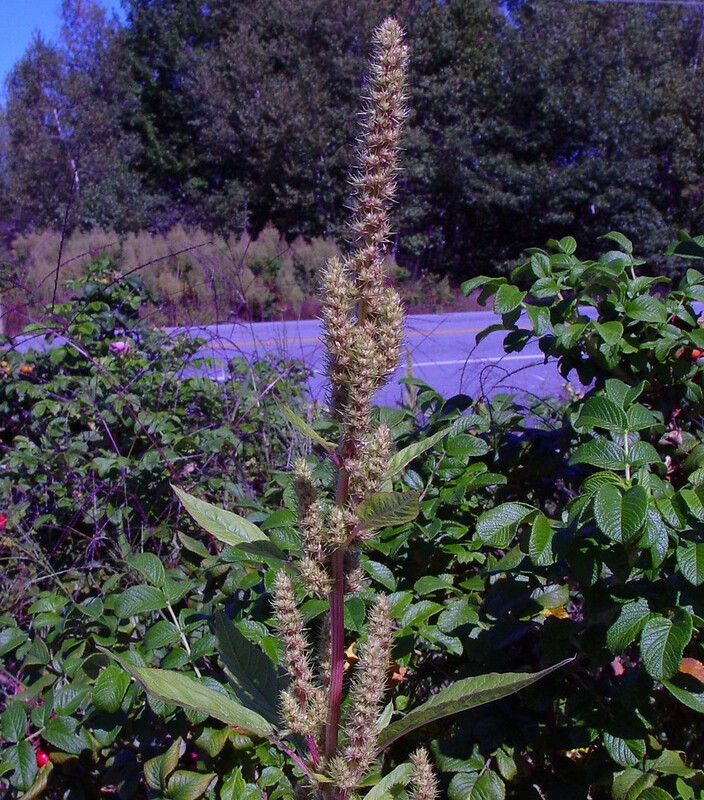 Native to southwestern North America, Powell's amaranth has greatly expanded its range, and is now found throughout North America, as well as South America, Europe, Asia and Australia. 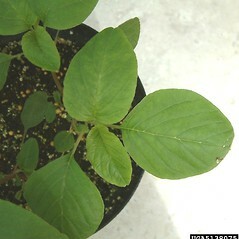 The leaves and seeds were eaten by the Hopi People of the Southwest. 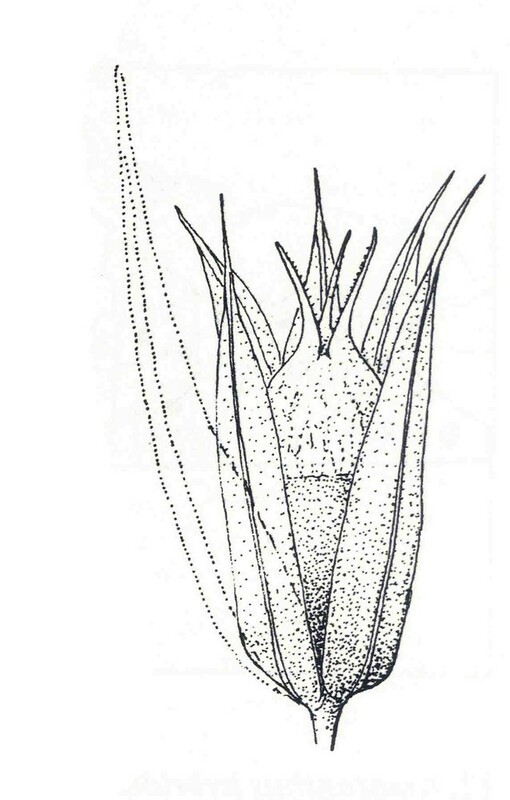 bracteoles mostly 2.5--4 mm long, 1.2--2 times as long as the sepals (vs. A. powellii, with bracteoles mostly 4.5--6 mm long, mostly 2--3 times as long as the sepals). 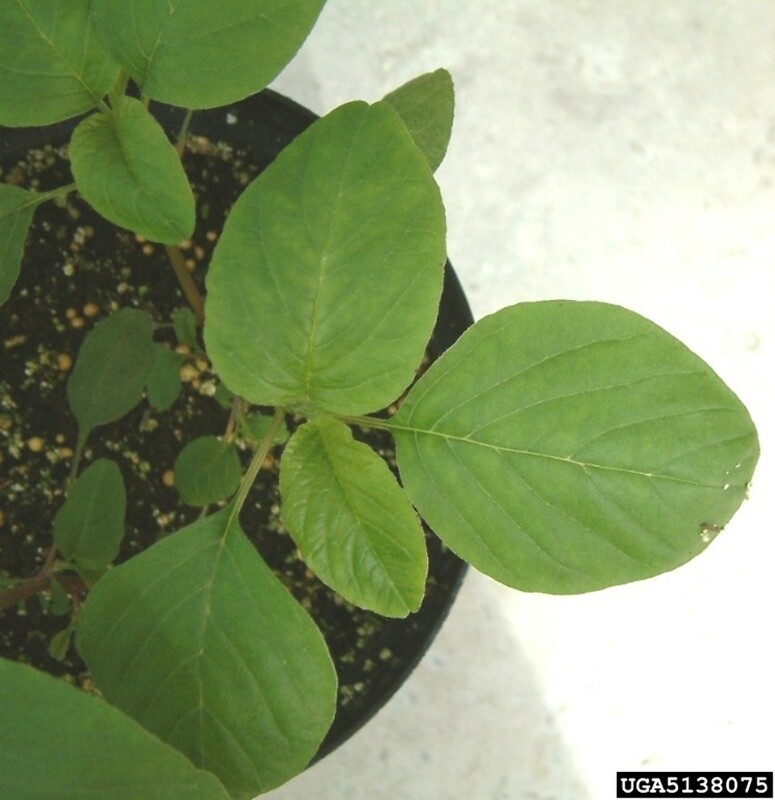 carpellate sepals rounded to emarginate at apex and outwardly curved (vs. A. powellii, with carpellate sepals acute to subacute at apex and erect). 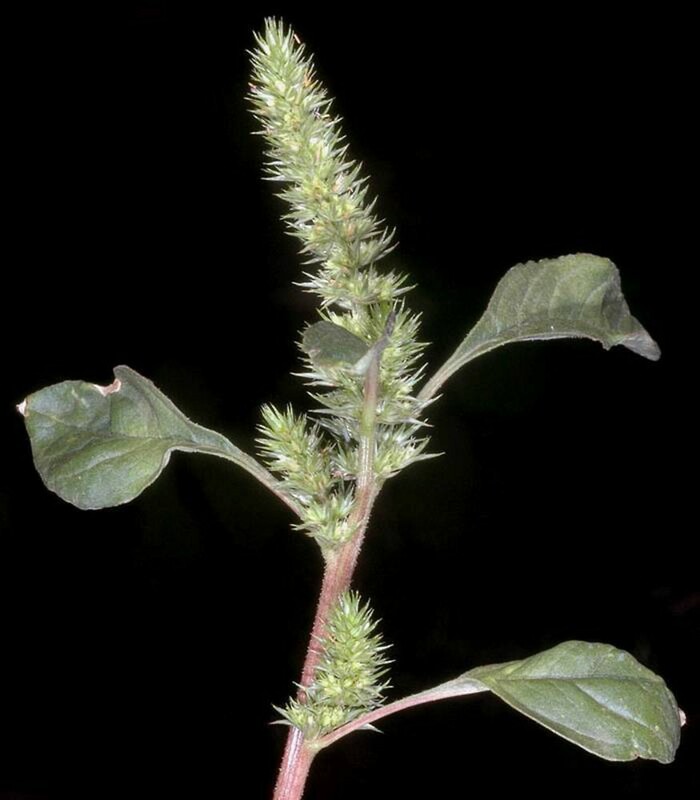 Our subspecies is Amaranthus powellii S. Wats. ssp. powellii. 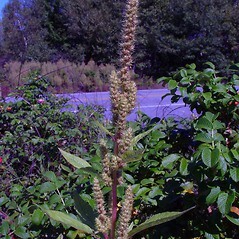 Powell’s amaranth. 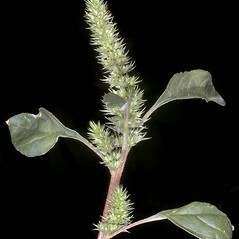 Amaranthus chlorostachys Willd. var. 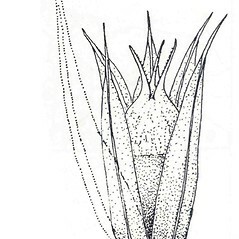 pseudo-retroflexus Thellung; A. retroflexus L. var. powellii (S. Wats.) Boivin • CT, MA, RI, VT; also reported from ME and NH by Mosyakin and Robertson (2003), but specimens are unknown. Fields, roadsides, railroads, disturbed soil, gardens.